Home → Handy Hints → Emergency Plumber Melbourne – Emergencies occur at the most unexpected time. Emergency Plumber Melbourne – Emergencies occur at the most unexpected time. Many plumbers work on normal business hours from Monday to Friday, but in many instances, this is not when you need them the most. Plumbing emergencies mainly choose the most unexpected moments to occur. When a pipe bursts at midnight and most plumbing companies have closed for the night, you don’t have the luxury of waiting till morning – unless you are willing to deal with a lot of damage to your home. Fortunately, you can now call a Melbourne 24 Hour Plumber who will be at your house in less than an hour to take care of your emergency, regardless of the time or the emergency. Emergency Plumbing Melbourne includes the installation, repair and the maintenance of different pipes, fittings, fixtures, valves, tanks and still a lot more on an instant basis. Hire a well-qualified and certified Melbourne 24 Hour Plumber that has been through proper training and who is equipped with great knowledge, advanced techniques and skills for the plumbing job. Emergency Plumber Melbourne are well-trained to resolve all those clogged toilets, those leaking pipes, and busted pipes that have been known to destroy whole plumbing system within your home. Emergency Plumbing Melbourne – What does it cost? You may be worried about how much it will cost you to get a plumber to your house after hours. It is worth noting that while an independent plumber may work in your favour for planned plumbing projects, he may cost you a lot more to take care of an emergency – assuming you can even get him to come over. You will probably get the best deal from the Melbourne 24 Hour Plumbing company, because such services are at the core of their business, so you won’t have to worry about exorbitant prices. Emergency Plumbing Melbourne – Well equipped and stocked. Another major advantage of working with the Melbourne 24 Hour Plumbing is that they often specialize in a wide range of services. Since they need to be available around the clock, they must be prepared to deal with every type of plumbing situation. They are also prompt, helping to fix the problem before it turns into a major disaster. These services may just save you hundreds or even thousands of dollars that you would have otherwise spent repairing damages. Reputable Melbourne 24 Hour Plumbing are not only licensed, but they are also insured. You need to know that your plumber is licensed and has gone through a background check. This will give you the assurance that you won’t compromise your security and that of your family by making that crucial call in the middle of the night. 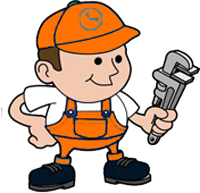 Melbourne 24 Hour Plumbing – Schedule a preventative maintenance appointment.